If the Statue of Liberty is weeping, it is because in the great city of New York more African American children die in the womb each year – than are born. That horrific fact bears repeating – more African American children die in the womb each year in New York City – than are born. 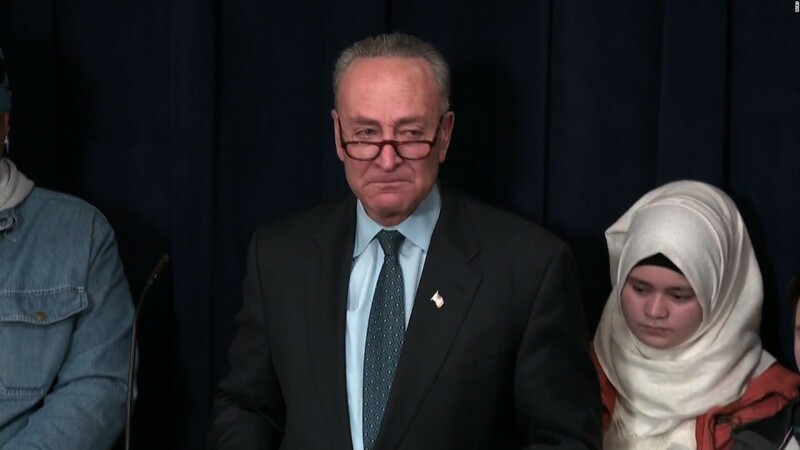 Perhaps Senator Schumer could have a press conference where he shares his grief at the death of close to 30,000 African-American babies a year in the city of that iconic statue of Lady Liberty. Senator Schumer calls for a more “welcoming” policy toward immigrants. In the Senators district, the womb is the most unwelcoming and dangerous place for an African American child. Perhaps those like Senator Schumer and other that are so concerned with welcoming immigrants from other parts of the world, could turn to their own backyard and come up with solutions to the challenges facing our poor minority communities – solutions that do not include genocide against our African American brothers and sisters in the womb. If you think Genocide is too strong a word – I implore you to once again let the reality sink in – more African American children die in the womb of their mothers each year in New York City, than are born. If this does not qualify as genocide…then the word has lost all its meaning. This entry was posted on Tuesday, February 7th, 2017 at 9:50 pm	and is filed under Uncategorized. You can follow any responses to this entry through the RSS 2.0 feed. You can leave a response, or trackback from your own site.